A good time was had by all on our summer retreat. Ann Dilcher is organizing this. Most information can be found in our Facebook group. If you are a member of A2MQG but are not in the group, send me an email and I'll send you an invitation. We are doing a mod mosaic quilt. Each block has sashing and other scrappy pieces. The sashing is one color and the other pieces are one other color/shade. If you're interested in taking over for the biweekly blog round-up, let us know! At this meeting, we swapped charm packs. The goal is to finish a charity sized quilt (36" x 48") with these charm packs. You can participate even if you didn't swap a charm pack! 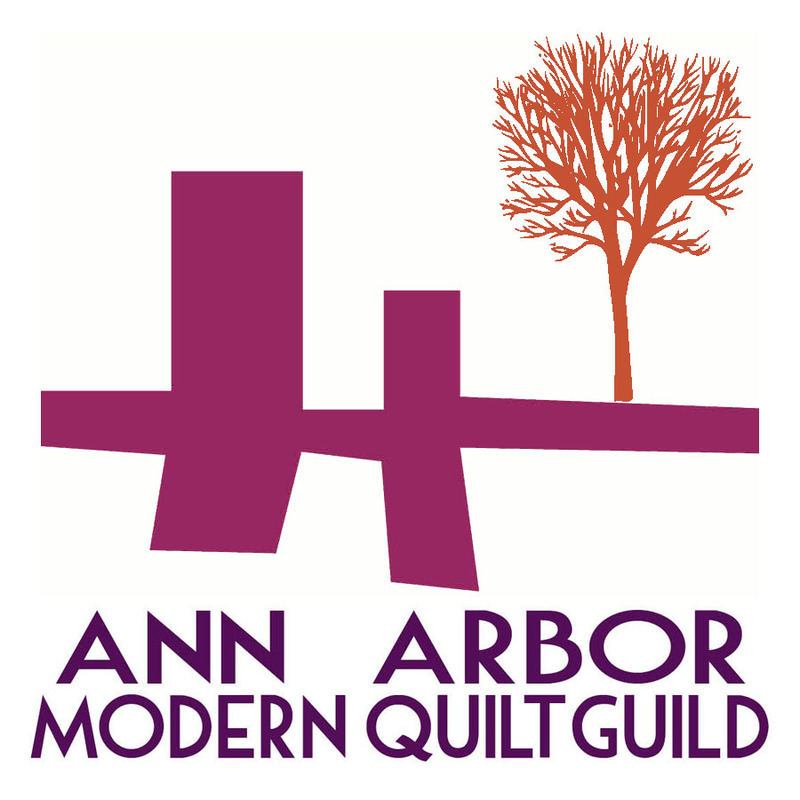 If you bring a charity quilt to the October guild meeting that you made with 5" square charms, you will be included in the drawing to win a prize. See our blog's charity page for some patterns. Debbie brought an abundance of quilts to the meeting. She enjoys gardening and making lots and lots of quilts. There were at least three overflowing laundry baskets! And of course my phone wouldn't let me take pictures of them. our guild made some super awesome minis! We'll get to see what everyone receives at the next meeting. We might have found a space! The Quilting Season would allow us to use their space for $10/person and we can bring our own snacks. If you have any leads you think would also work, feel free to let us know.